Late summer 1998 I bought a stand alone CD burner and copied some CDs and it dawned upon me that this could be the next great thing, following releasing cassettes. 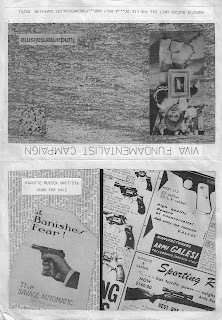 Then I started Bake Records, designed the covers and copied them at home. 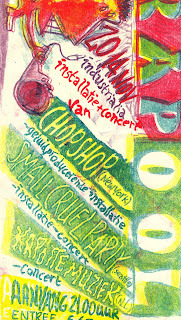 At Staalplaat they liked the idea, Roger NBH redesigned the whole thing and subsequently designed all 60+ releases on the label. 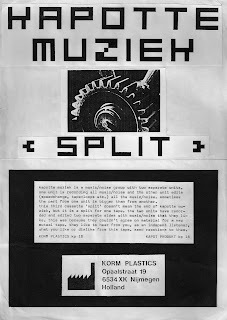 Staalplaat bought a professional CD duplicator and a whole bunch of labels was started: Microwave, Acid Planet, Hond In De Goot and all Korm cassettes were re-issued. Last year I got all the masters for this from Staalplaat and was promised whateverv remained from the stock on covers, but it turned out they were lost. Today I still these mentioned in Staalplaat's list, so maybe they are still for sale? No download therefore. 1000 Herz used processed sine waves and Boxes was a re-issue of a tape released by Spite, an American label and uses a metal box and bells. 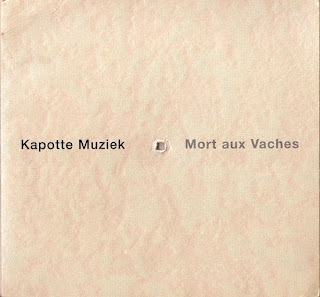 After about a year of working together Christian Nijs and I thought it would be nice to do a split cassette, with would display our separate interests in music. Christian's side has a bit of rhythm and synthesizer and I was in awe of Whitehouse circa 'New Britain', with feedback and water sounds. The cover was a double sided A4 sheet, folded into a plastic bag. The music is here! A track on 'Rub Out The Word' a double compilation released on Jeph Jerman's Big Body Parts label. It all deals, in some ways at least, with whom I was in contact a lot back then. The title 'Process 4' probably refers to other pieces that employ the same process - no doubt some crude form of Steve Reich's 'Come Out', which I used a lot in those days. The whole tape can be downloaded here. Well, actually this could also have been the 7th. 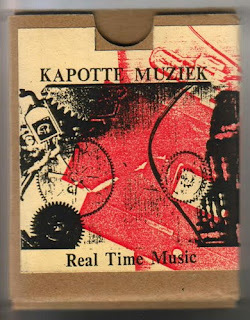 It deals with the release of 'Real Time Music', the second Kapotte Muziek 7" and a cassette. 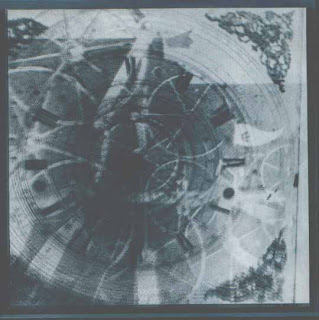 According to discogs, information supplied by DMDN of Midas Music, the 7" was released on November 7th 1989 (picture below), but the cassette (picture above) is undated but from November 1987. The music was created by accident. One of my cassette players broke down, I opened the machine (don't why, since I am hardly technical), and it turns out it still produces sound. 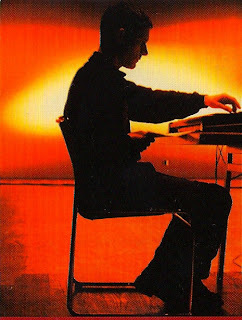 So in one go, I recorded four tracks which were released by Midas Music as a C15 cassette, and the first twenty copies were in a carton box with various pieces of the tapedeck, the edition was in total 50 copies. Two years Midas decided to release this a 7", leaving out the shortest track on side a. 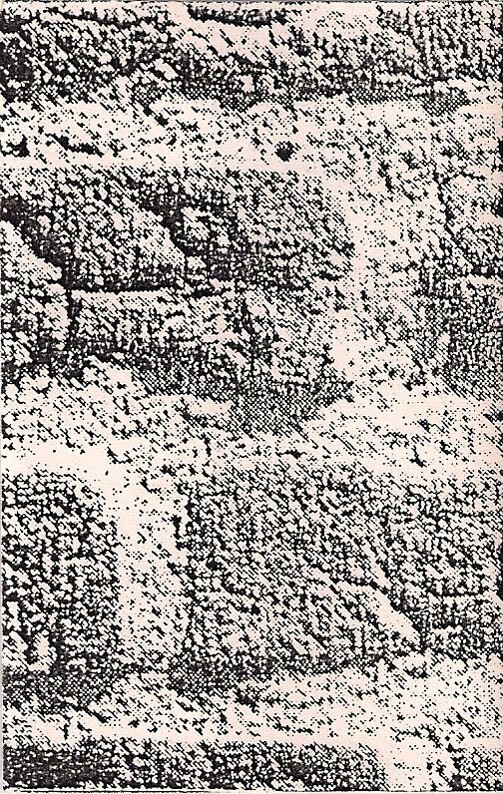 The edition was 320 copies. 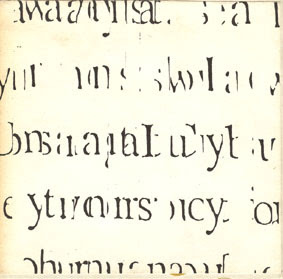 The b-side especially nice: a sort of very primitive early version of Goem. 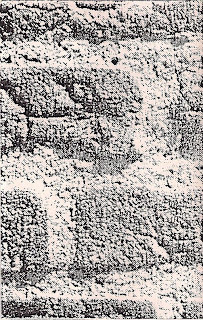 This digital transfer was done by DMDN. No mistake here. 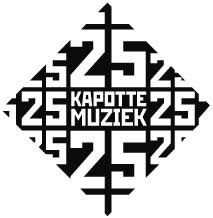 We deal with 25 years of Kapotte Muziek, but we will include the future as part of the past. 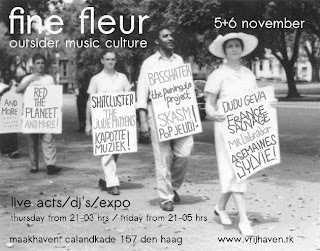 Tomorrow we will play in Den Haag, see the flyer above. If everything goes well, on friday there will be a recording to download and some story. We are scheduled to play around 10 o'clock, so if you are in the area, plus come over. A long night - well, two, if you go friday too, but it looks like fun. Update! a recording has been found! Listen up.